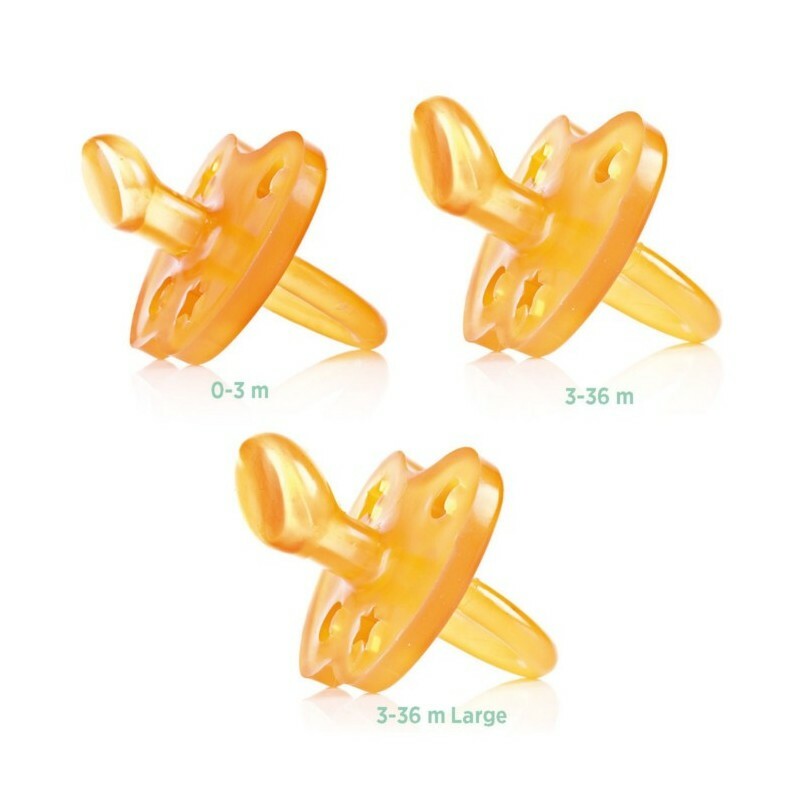 100% natural rubber soother. BPA, phythalate and PVC free. Suitable for ages 0 - 3 months. Orthodontic style, soother slightly slides up into the roof of baby's mouth. Star and moon shaped ventilation holes on front of soother. Made of 100% natural rubber, which is biodegradable. Natural rubber can be broken down physically and/or chemically by microorganisms. 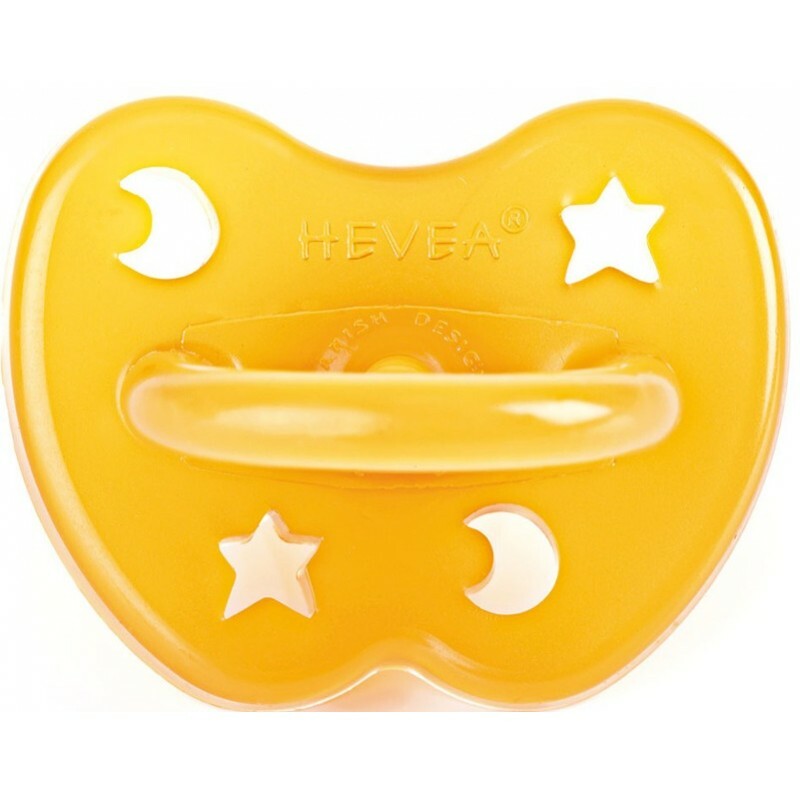 Star and moon design around soother designed for ventilation and prevents vacuum around the mouth. The stylish packagig made from FSC certified paper is ideal for gifting. Please note: for both safety and hygiene reasons, the soother should be discarded after a maximum of two months use. 100% natural rubber from hevea plant. We love these natural rubber dummies. Safe for bub and easy for my breastfed bub to attach to. Really good quality too.